Performability modelling and evaluation brings together two disciplines that have long been treated separately in different communities: computer and communication system performance evaluation and system reliability and availability evaluation. * Provides a single-source reference covering of all aspects of performability evaluation. * Introduces a new approach to assessing the performance and dependability of systems thus revealing system characteristics that cannot be uncovered separately by performance or reliability evaluation. -Capacity of failure prone clusters of transaction processing systems. -Network throughput when network nodes and links fail. -Task completion times on degradable multiprocessor systems. -A variety of modelling and evaluation techniques. * Features software tool descriptions to support performability evaluations as well as an extensive bibliography. Computer scientists and engineers will find this excellent overview compulsive reading as will postgraduates and researchers in computer science and related fields. Boudewijn R. Haverkort is the editor of Performability Modelling : Techniques and Tools, published by Wiley. 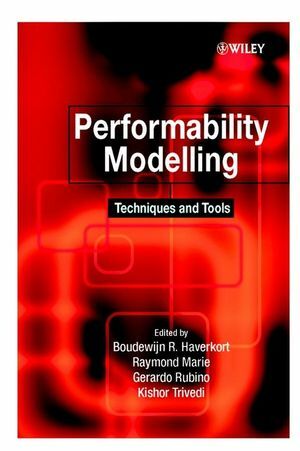 Raymond Marie is the editor of Performability Modelling : Techniques and Tools, published by Wiley. The Uniformization Method in Performability Analysis. Markov-Reward Models and Hyperbolic Systems. Monotonicity and Error Bound Results. The Task Completion Time in Degradable Systems. Specification and Construction of Performability Models. A Survey of Performability Modelling Tools.